Commentary's title is "A New Strategy for Israeli Victory." For correspondence about this article in the March 2017 issue of Commentary, see "How Israel Wins." For a short version of this argument, see "A Palestinian Defeat Is Good for All." For an explanation why the time is ripe for this approach, see "This Is the Moment for an Israeli Victory." 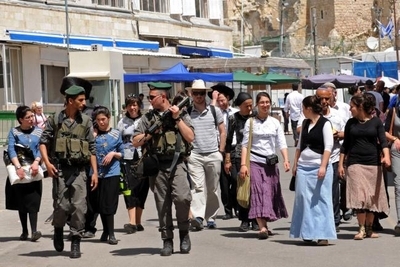 For a response to criticisms of this article, see "Is There a Palestinian People? Can It be Defeated?" For a listing of Daniel Pipes' writings on this topic going back to 1998, see "Bibliography – My Writings on Israel Victory." For the announcement of the Congressional Israel Victory Caucus in April 2017, click here. For the announcement of the Knesset Israel Victory Caucus in July 2017, click here. Israeli-Palestinian diplomacy sadly fits the classic description of insanity: "doing the same thing over and over again and expecting different results." The identical assumptions – land-for-peace and the two-state solution, with the burden primarily on Israel – stay permanently in place, no matter how often they fail. Decades of what insiders call "peace processing" has left matters worse than when they started, yet the great powers persist, sending diplomat after diplomat to Jerusalem and Ramallah, ever hoping that the next round of negotiations will lead to the elusive breakthrough. This typical map in Arabic shows "Palestine My Bride" to the exclusion of Israel. In the years before the establishment of the new state, the mufti of Jerusalem, Amin al-Husseini, articulated a policy of rejectionism, or eliminating every vestige of Jewish presence in what is now the territory of Israel.It remains in place. 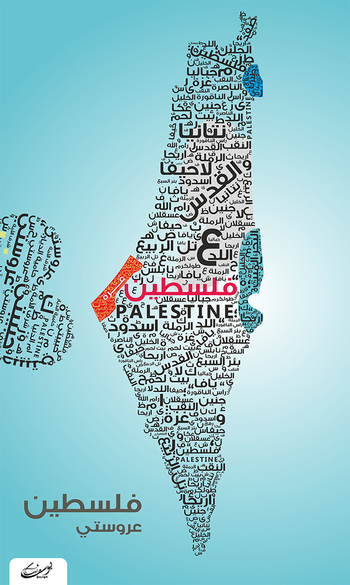 Maps in Arabic which show a "Palestine" replacing Israel symbolize this continued aspiration. Rejectionism runs so deep that it drives not just Palestinian politics but much of Palestinian life. With consistency, energy, and perseverance, Palestinians have pursued rejectionism via three main approaches: demoralizing Zionists through political violence, damaging Israel's economy through trade boycotts, and weakening Israel's legitimacy by winning foreign support. Differences between Palestinian factions tend to be tactical: Talk to the Israelis to win concessions from them or not? Mahmoud Abbas represents the former outlook and Khaled Mashal the latter. These two pursuits – rejectionism and acceptance – have remained basically unchanged for a century; today's Palestinian Authority, Hamas, Labor, and Likud are lineal descendants of Husseini, Ben-Gurion, and Jabotinsky. 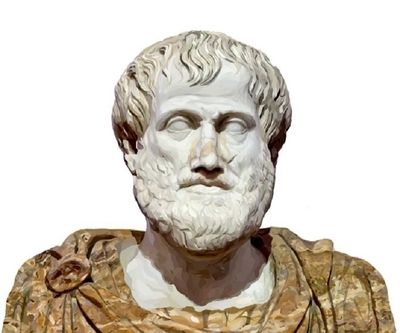 Varying ideologies, objectives, tactics, strategies, and actors mean that details have varied, even as the fundamentals remained remarkably in place. Wars and treaties came and went, leading to only minor shifts. The many rounds of fighting had surprisingly little impact on ultimate goals, while formal agreements (such as the Oslo Accords of 1993) only increase hostility to Israel's existence and so were counterproductive. 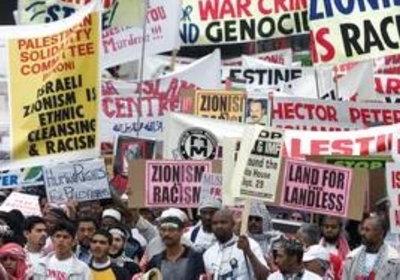 That said, deterrence did not finish the job; as Israelis built a modern, democratic, affluent, and powerful country, the fact that Palestinians, Arabs, Muslims, and (increasingly) the left still rejected it became a source of mounting frustration. Israel's impatient, on-the-go populace grew weary with the unattractive qualities of deterrence, which by nature is passive, indirect, harsh, slow, boring, humiliating, reactive, and costly. It is also internationally unpopular. 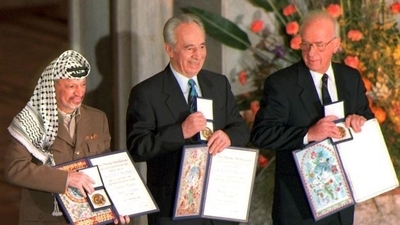 Arafat, Peres, and Rabin with their shared Nobel Prize, 1994. That means supporting Israel taking the tough steps outlined above, from burying murderers' bodies anonymously to shuttering the Palestinian Authority. It means diplomatic support for Israel, such as undoing the "Palestine refugee" farce and rejecting the claim of Jerusalem as the Palestinian capital. It also entails ending benefits to the Palestinians unless they work toward the full and permanent acceptance of Israel: no diplomacy, no recognition as a state, no financial aid, and certainly no weapons, much less militia training. I analyzed this topic for Commentary in December 1997 at "On Arab Rejectionism." Which, curiously, paraphrased the statement of a PLO leader, Said Hammami, of 15 years earlier. I reviewed these proposals in detail for Commentary in February 2003 at "Does Israel Need a Plan?" Injuries and deaths from traffic accidents in Israel in the period 2000-05, for example, came to 30,000 while terrorism-related injuries amounted to 2,000.